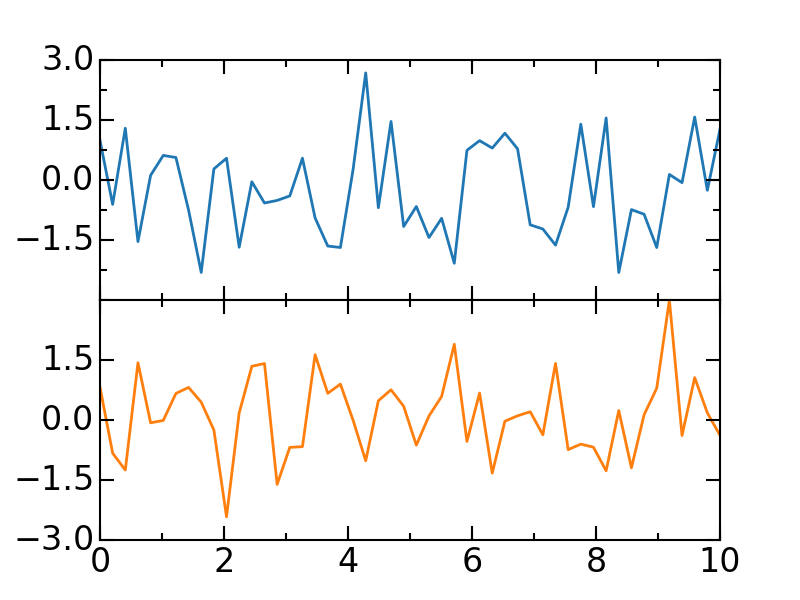 This is designed for students who are unfamiliar with coding, and to help get them up to speed with more sane plots, than the default provided from matplotlib. Adjusting the ticks and ticklabels in plots to not overlap. 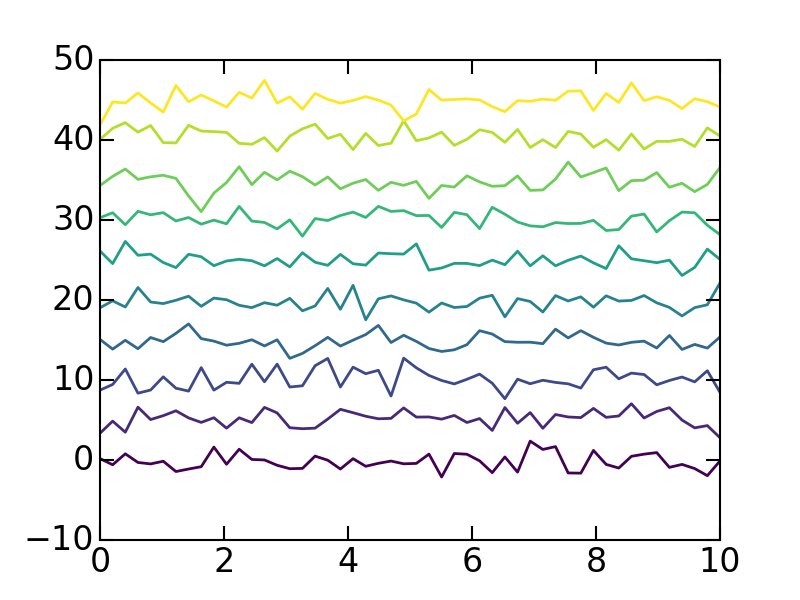 Notice the minor yticks in subplot 1 and the major yticks that are pruned. This is only relevant for cascading plots where the data varies by one parameter. Note that cm.viridis can be replaced with any of the colour maps listed on the matplotlib colormaps reference. Those colours are easy on the eyes!